With creativity, flair and experience, you can trust our team of hair professionals to create a style that both suits and flatters your face and personality. Let our amazing beauty therapists help you to escape the stresses and strains of everyday life with a perfect pamper session. And relax. CoCo North is expertly led by two professionals who are top of their respective fields of hair and beauty. 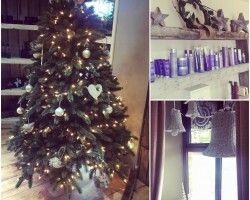 With their team of highly creative hair stylists and beauty therapists, they ensure that every client is inspired and delighted with their individual CoCo North experience.